They were fighting to kill each other and kept on fighting. They ended up pointing sword on each other’s neck. Bindu came and asked both of them to stop. He asked them to throw the weapons. He said the history was being repeated. This had been a tradition of royal families. He said he wouldn’t let that happen again. He asked both of them not to hurt each other. He said he would give the capital punishment to other if one died. All were shocked. He stated that he had prayed for another chance from Lord to keep family intact. He was excited to take Magadh to new heights. 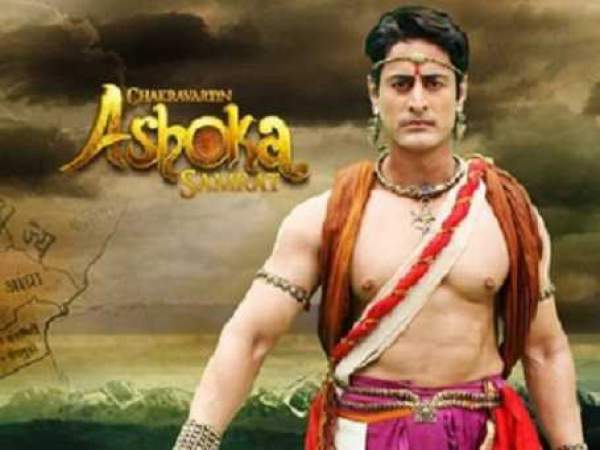 He told Charu to make sure that Ashoka was not harmed. All went except Bindu and Charu. She was tensed. She wanted that her sons understand their responsibilities instead of killing each other. A suggestion came for their marriage as they would get to know their responsibility then. All kings daughters’ were invited to Shraavan mela. Hence, they wished to calm their sons in their marital life. She took Kaurvanki’s name for Ashoka. She said Kaurvanki had helped Ashoka in Takshshilla. She understands him. She would be able to calm him too. Bindu and Charu hugged each other. Mahamatya said Nirankush wanted four days to summon. Bindu said he couldn’t wait for that. The captives brought by Ashoka didn’t speak at all. Who was ruling under them so secretively? There were many questions. Ashoka said he have the captives as a proof; they were the witnesses to a lot of things. Mahamatya asked for time to investigate. Acharya spy told that man named Gondna existed. People were scared to raise voice against tax asked by him. Bindu wonders where text went? Ashoka said to Bindu that Mahamatya silence is trying to protect someone. Gondna sat on his seat. Uttar and Dakshin read tax amount to him. Gondna said he would kill Ashoka first, then Bindu and sushim too. He laughed. Next morning Bindu asked all his soldiers to get for finding Gondna. He then thought of asking some information from Rajkumar Sushim. He said nothing moves in Patliputra against his wish. How was Gondna operating? Ashoka and Samara had arguments in between, and Ashoka told Sushim that he didn’t divert from his aim ever. He intended for the betterment of the world and for peace too. He had no wish for fame. Bindu asked them to stop.